If you have 4 or 6 pack abs. 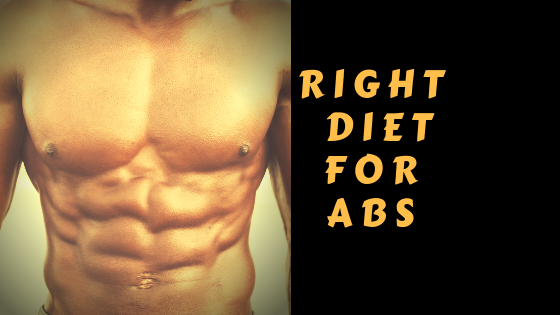 But the main point is that getting to the conditioning where your abs look like biscuits attached to your abdominal area, is very tough. Many people try but fail and only some are able to get that shredded. The reason is nutrition, many people don't know how to eat the right food and eat in order to get shredded, even though it is common knowledge for all by now that in order to lose fat you need to eat low-calorie food and eat in a caloric deficit. You have to eat low-calorie foods, so make a proper low calorie diet plan and follow it because when your body gets a low-fat percentage then your abs automatically starts showing itself, You have to eat low-calorie food, because your stomach is like a wrinkled tissue and there is only a space of a medium size burger and when you eat it gets unfold up to 25 times. You have to add some real foods like fruits, beans and legumes are very high in fiber and fiber slow down the digestive process. Soluble fiber, which is mainly found in beans and legumes, some fruits are fermented in the gut, which gives you the feeling of the fuller stomach. On average, your food caloric intake is decreased by around 11 percent by 15 grams of fiber you eat. So, if you want to feel fuller then increase the intake of your fruits and starchy carbs. you can also make your foods more solid than liquid. Protein has a much higher power and important role compared to both carbs and fat. so, eating more protein will definitely going to make feel fuller for longer. do not overeat through frequent snacking. Also, your body needs protein for a lot of functions which are very vital for your body. for muscle growth protein is the best source and you can take it from eggs and chicken, if you are vegetarian then you can go for lentils and soya milk or you can take dairy products, curd has a good biological value of protein. Unlike carbs and fats, protein cannot be stored and to be used in the future. So, your body is rightly aware of its protein intake, just as it's sensitive for water and sodium.